I will never be able to pronounce "Bialowieza" but this trip is one of the best trips I have ever done in Europe. 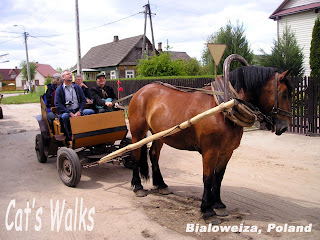 Bialowieza is an ancient forest located between Belarus and Poland. It is the only remaining piece of the once vast forest spread across the European Plain. It is a Unesco World Heritage Site and a Biosphere Reserve. This forest is home to the endangered European Bison, elks, wild horses and wild horses. Unfortunately, we didn't see any bison inside the forest, we only saw some in the zoo. Since we were there for a scientific meeting, we were lucky to have the director of the Bialowieza National Park guide us through the forest. 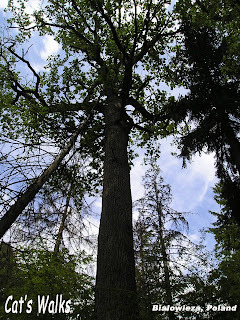 He told us the story of a lot of trees (under some trees transpired the love stories of many Russian aristocrats). I was really amazed that he knew a lot of trees in the park by name, almost assigning them personalities. We stayed at the Gawra Pension. 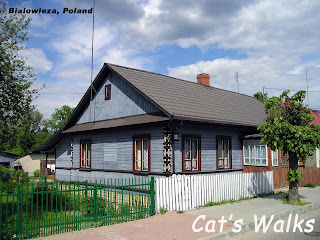 I really loved this pension, it was clean, comfortable and in a style which makes you feel like you are really near the forest. The meals we had there are also excellent. I really love Polish soups! The town near the forest is so beautiful! The houses are built in a simple style and there are almost no cars so the locals have horse-driven carriages to go around town. I really fell in-love with Bialowieza!